"It is time we come alive to see that disunity in Christ robs the Church of its collective power. The change-makers of the future will be those who bring people together, and Designed for More give us exactly the vision ...to become the unifying leaders our world needs. Thank you Lucas and Mike for diving into this much-needed conversation." "The world is waiting for the church to come together and be the interconnected movement that best offers God's love and grace to all. 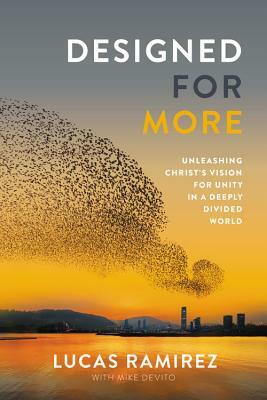 Designed for More offers you and I what we need: a compelling vision for why unity matters and practical steps for us to move forward."